TriMet officials released proposals at an open house designed to relieve congestion along Upper Boones Ferry Road near Bridgeport Village. 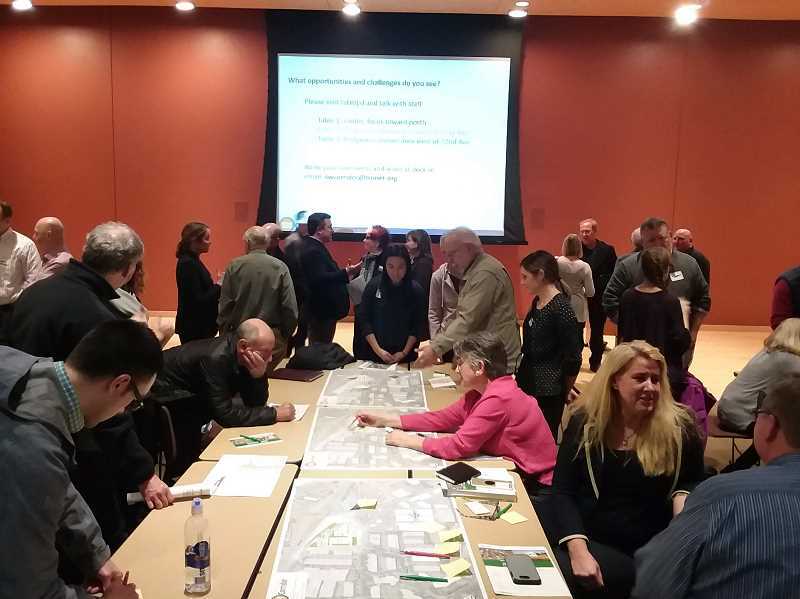 Residents got their first look at possible alternatives to track alignments and the location of a final Bridgeport Village station as part of a "Bonita to Bridgeport" open house Jan. 24, part of the Southwest Corridor Light Rail Project. TriMet representatives unveiled those proposals to a packed house held in the community room at Tigard Public Library. As a result, TriMet is working with a plan to elevate the tracks over Upper Boones Ferry Road as part of the locally preferred alternative. However, those elevated tracks would result in significant more costs and impacts so TriMet is offering the possibility of building a shorter bridge over Boones Ferry Road but via Southwest 74th Avenue. Click here to read the rest of the story in The Times of Tualatin, Tigard and Sherwood.